Book Cheap China Train Tickets Online, The Most Complete and Latest China Train Schedule Timetable ! 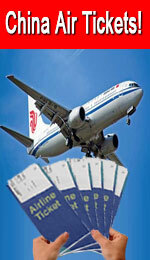 China Air Tickets online ! Train numbers is 4 numbers like: Train 2341 - Slow Train. Y Train - Tour Train; L Train - Temporary Train.